Over the last 5 years I have grown 12 different varieties of Fava. Usually 7 at a time. I have had ample opportunity to compare different varieties of favas at different maturities. 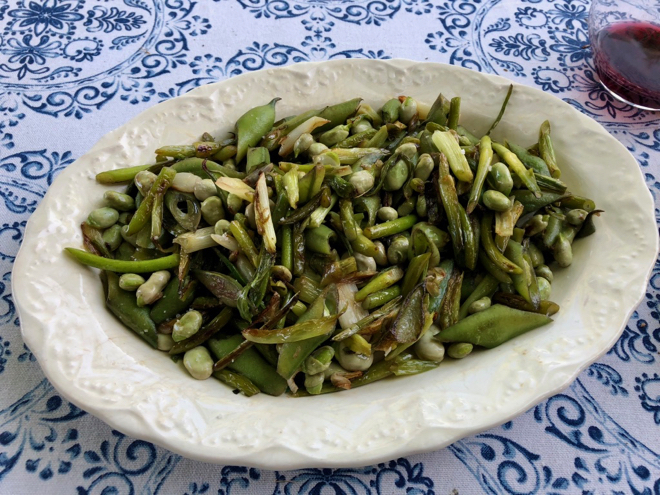 It is the variety of the fava and the individual bean pod age determining if it needs to be peeled or not NOT the individual bean seed or pod size. For example I have found all varieties labelled Longpod have a bitter coat on the seed and need to be peeled no matter how small unless of course you like bitter – I don’t. From Saltspring Seeds in British Columbia you can buy two varieties, Sandra’s and Andys – both of whom have gigantic pods, gigantic seeds, many seeds in each pod AND do not have a bitter seed coat even though a large seed. Of course if the seed is overly mature – on its way to through the maturing stage to dry down as a dry bean all bets are off as to flavour and toughness. Thanks for this very informative note Lisa. The farmers in my area must be growing the later varieties, for which I’m very grateful! 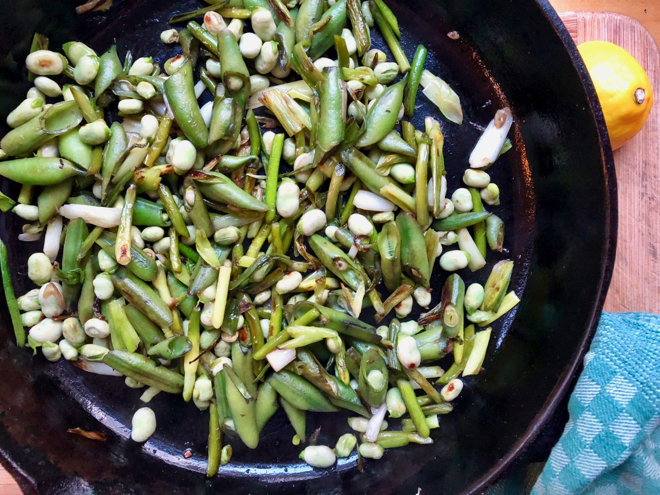 I would imagine though, that the Iranian method of boiling the whole pods in heavily salted water until they fall apart and then eating the whole beans (unpeeled) would still work for the former variety. I’ve tried that with every variety (when larger) I’ve ever had and always been pleased. But maybe just lucky there too. . . I remember when you cooked Fava beans in class after shopping the farmers market. Never forgot how good they are!!!! What a lovely memory. Thanks for sharing Carol.